However, you cannot put the booths just anywhere. The location of interpretation booths is subject to specific requirements laid down in standard ISO4043:2016. You should not put interpretation booths in areas with noise that can distract the interpreters. So it is best to avoid placing them near kitchens, public corridors or areas where lots of people walk past. 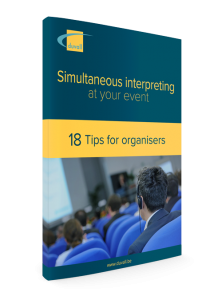 It is vital that the interpreters have a good view of both the speakers and the screens used for showing presentations. Ideally, they should be able to see the entire meeting room. 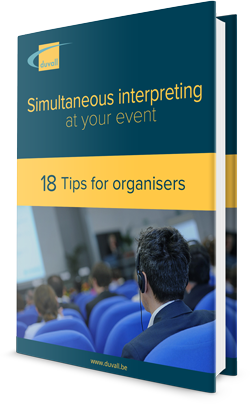 So avoid putting interpreter booths behind support beams or pillars that inhibit the view of the venue. 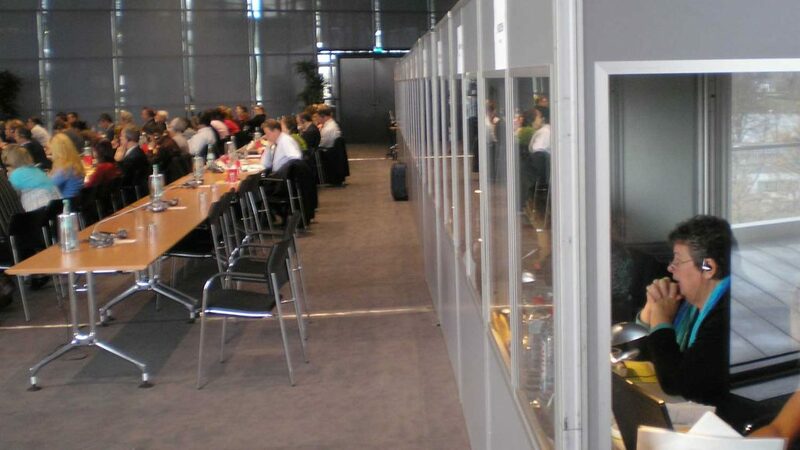 Generally, interpreter booths are put at the back of the room. If the distance to the screen is so great that the interpreters can no longer read the presentations, you should put in extra screens just in front of, or inside, the interpreter booths. If you put the booths at the side, you have to be aware of the angle that the interpreters need to look at the speaker and the screen. It must not be less than 35° in relation to the edge of the booth. Finally, make sure that the distance between the booth and participants is at least 1.5 metres. Otherwise, the voices of the interpreters may disturb the participants, or vice versa.